You have to be ill if you want to get better. We’ve always been involved with America – I have a son who lives there and it’s a big part of my life. The last thing I would attempt to do is to buy clothes for a child I didn’t know well. My parents and grandparents have always been engaged in teaching or the medical profession or the priesthood, so I’ve sort of grown up with a sense of complicity in the lives of other people, so there’s no virtue in that; it’s the way one is raised. To be bothered wherever you go – it’s not a rational thing to want at all. They’re not bombarding me with offers, although the ones that have come along have been too preposterous to contemplate, so it’s not as if I spend every day resisting $20 million pay cheques. One of my grandfathers, actually, having gone out there as a minister, decided he would better serve the people as a doctor. So at a very late age – at the age of 38 in fact – he changed course and decided to become a doctor. People have the idea of missionaries as going out with the Bible and hitting natives with it. It’s not really what they were doing. They were all doing something rather different. The English people, a lot of them, would not be able to understand a word of spoken Shakespeare. There are people who do and I’m not denying they exist. But it’s a far more philistine country than people think. My looks aren’t something that come dazzlingly through in everything I do. I can be made to look one way or the other fairly easily… I am still not recognised on the street that much. Most actors will tell you they have some sort of dream of doing something other than what they’re doing. It used to be that I was always paranoid or a loser or something so there’s usually something that you seem to associate yourself with at one time or another. I’m not patient, and some things drive me crazy. In my work, I get incredibly upset when people don’t get it right or don’t respect others’ needs. I’d love to try my hand at something else. If you don’t mind haunting the margins, I think there is more freedom there. 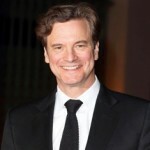 Colin Andrew Firth was born in Grayshott, Hampshire, England. He is an English actor, producer and screenwriter. He has received an Academy Award, a Golden Globe, two BAFTAs and three Screen Actors Guild Awards, as well as the Volpi Cup. His most notable and acclaimed role to date has been his 2010 portrayal of King George VI in The King's Speech, a performance that earned him the Oscar and multiple worldwide best actor awards. In 2011, Firth received a star on the Hollywood Walk of Fame and was also selected as one of the Time 100.